Rising debt, attacks on speech and religion, falling trust in federal agencies, insolvency threats to entitlements (Social Security, Medicare), political elitism, distrusted media, divisiveness, and the disintegration of religious values with increasing secularism. There’s a growing feeling our Congressional representatives are not listening to us because nothing changes. The problems keep getting worse. When America found itself in trouble in colonial days, we organized ourselves into an effective gathering with the purpose of resolving a specific issue. More times than not, we corrected our path, leading to growth, prosperity, and an enduring freedom envied by the world for centuries to come. There was, however, period between the beginning of the Revolutionary War and the signing of our Constitution; from 1775 to 1787 that we stumbled while learning to walk. Because of our weak and ineffective first constitution, the Articles of Confederation, the United States nearly destroyed itself. We had, for example, a single body Congress that that was led by a new president every year, states sent as many Congressmen as they wanted, but had only one vote per state, Congress had no power to tax or raise revenue, the government printed ‘greenbacks’ that quickly ignited inflation, states would rarely send their revenues to Congress, War veterans were rarely paid, no defined judicial authority, and each state was its own sovereign, to name but a few of our foibles. This convention process had been used hundreds of times in towns and colonies since the 1630’s and proved to be an effective tool for resolving issues not solvable by local legislators. They gathered to find solutions to safety, defense, inflation, currency, government reform, trade, etc. A uniform set of operating procedures evolved which continue today. During the Founding era, conventions occurred, on average, every 3 ½ years. 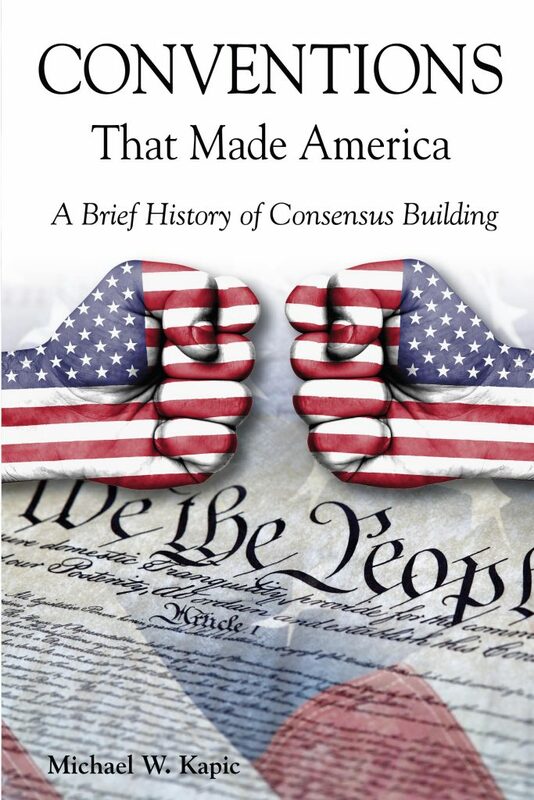 The Constitutional Convention of 1787 reformed the US government into a federal republic by integrating the Articles of Confederation into the new US Constitution giving the country the structure it needed to not only survive but to thrive. The same process was last used in September 2017 in Phoenix, Arizona. The same method could be used again to propose amendments to limit government through term limits and a balanced budget, for example. The Founders codified the process in Article V for times like these. They knew that Congress wouldn’t self-correct and that the people needed a legal and safe way to reform our government should the need arise. 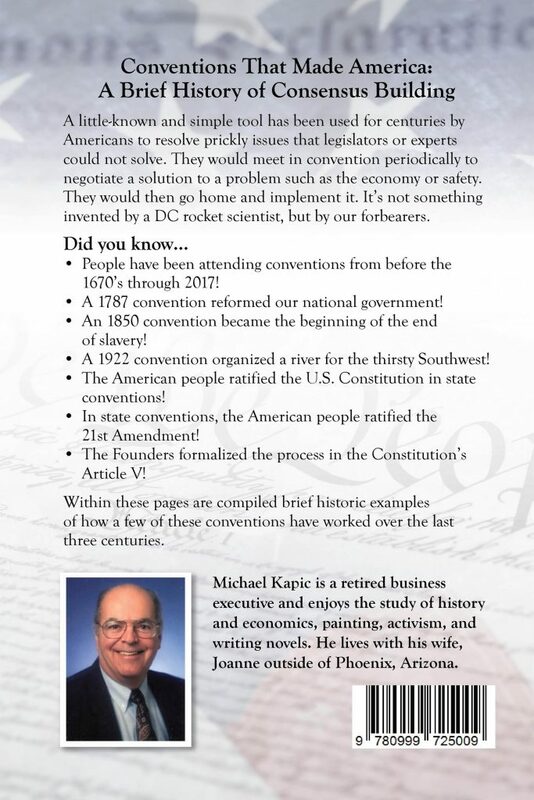 To learn more, visit the Article V Library. 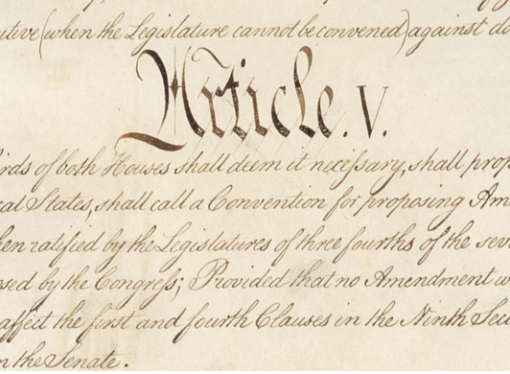 ← Part 4: How Can Article V be a Con Con?